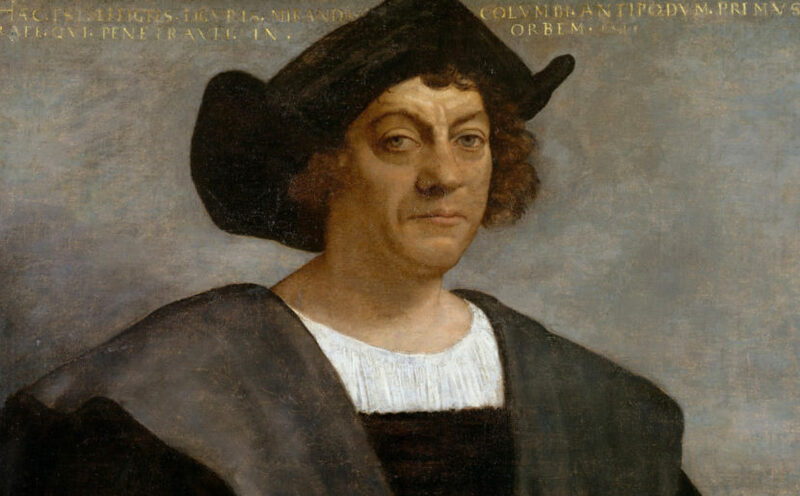 A common myth that many of us were taught when we were in grade school is that in 1492 Christopher Columbus sailed across the ocean blue and discovered America. Hopefully, at one point, we learned that he more accurately “discovered” the Bahamas, Hispaniola, and Cuba—not the United States, let alone the West Indies where he thought he arrived (or landed). To be fair, even saying that Columbus “discovered” anything can be tricky because the islands were inhabited by indigenous groups. It would be more fitting to say that in 1492 Indigenous people found Columbus lost at sea! Most of us know the danger of a small white lie, either because of the pain that it has caused people we care about or the pain it has caused ourselves. The same is true for this Columbus myth, it may seem harmless but its power is dangerous and disrespectful of indigenous history. Its failure to recognize that Columbus’ actions began the widespread genocide of indigenous Americans communicates a painful narrative to Indigenous people. Perhaps it is that their history is not worth remembering accurately or that the treatment of indigenous people (past and present) does not warrant national concern or reparations. According to “All The Real Indians Died Off”: And 20 Other Myths About Native Americans the ugly reality is that Christopher Columbus enslaved thousands of indigenous people and spread European diseases that killed millions of indigenous people. In Hispaniola, he also instituted a horrifyingly violent forced labor system to extract gold. That being said, this only touches the surface of a gruesome and shameful history that Americans typically fail to acknowledge when celebrating Columbus Day. It is important to reflect on what or who we might be unintentionally celebrating, and how, despite our best intentions, hurtful messages might be communicated to people who have been marginalized. One way to be more intentional is to choose to celebrate Indigenous Peoples’ Day instead of Columbus Day. You can partake by attending a local presentation on Indigenous Peoples’ Day, reading indigenous authors, visiting https://native-land.ca/ to see whose land you currently live on, promoting indigenous activism that would lead to your city celebrating Indigenous Peoples’ Day, and more! The movement to celebrate Indigenous Peoples’ Day signifies more than just a national holiday. In doing so, there would be a further widespread acknowledgment of the survival, resilience, and continued existence of indigenous peoples which could lead to further national, state, and local conversations about what are appropriate reparations for indigenous nations. This is one step towards righting a wrong that began 526 years ago. Krissy Juarez is Social Justice Coordinator for the Sisters of Charity of the Blessed Virgin Mary and the Sisters of St. Francis in Dubuque, Iowa.